This post is part of my series about the LDS ordinance of the sacrament. In my previous posts I’ve discussed the table, the cloth covering and the Priests. For those articles, as well as to see what else I’m currently expecting to write in the series, go here. When Jesus introduced the sacrament amongst His Jerusalem apostles, Matthew tells us that He “blessed” and “gave thanks” for the bread and wine. He then offered it to His disciples. (Matthew 26:26-27) A single blessing or thanks, one for the bread and another for the wine, and then each of the men with Him partook of it. The question we must ask ourselves is therefore why the communal experience is so important. When the Saviour introduced the sacrament amongst the Nephites it was to a gathering of several thousand, “…and he gave unto the disciples and commanded that they should eat. And when they eaten and were filled, he commanded that they should give unto the multitude.” (3 Nephi 18:3-4) I’ll come back to this verse when I discuss the bread and wine. For now, I want to emphasise that one prayer was sufficient for a whole multitude. The Saviour’s Great Sacrifice began with a prayer in which He sweat blood for the greatest multitude of all: for all of the Father’s children. One prayer. Countless numbers blessed. And so it is that as we sit in a chapel on Sunday, (or wherever it is that the sacrament is ministered for us) and we listen to the Priest as he kneels and prays to the Father; as we hear the request for these emblems of Christ’s sacrifice to be blessed and sanctified for us, we are reminded of One Prayer so long ago. I don’t know about you, but that realisation makes me stop and think. When a Priest kneels to pray before those pieces of broken bread and cups of water, it forces me to really ponder about His grace. 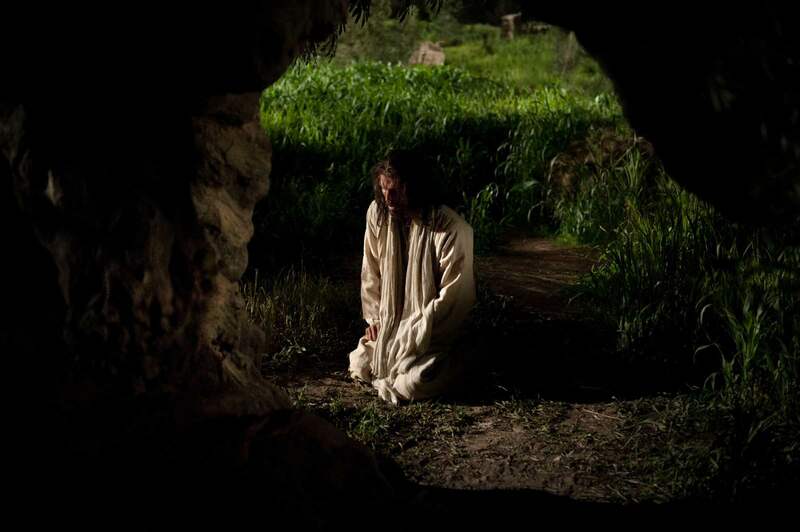 I always knew the Priests represented the Saviour at the sacrament table, but in also realising a single prayer for an entire congregation can represent the prayer He uttered in the garden of Gethsemane, it takes on a whole new level of meaning for me. Furthermore, once the prayer has been said, the bread or water must be passed to the congregation. In Jerusalem, Christ gave it to His chosen apostles. In the Book of Mormon, He gave it to His disciples, commanding them to give it to the multitude**. Today in our churches it is the Priests who give it to the Deacons, who in turn give it to the congregation. In this, we are also reminded that Christ gave Himself in sacrifice willingly. Just as Jesus chose to give out bread and wine reminding us of His atonement, so He carried out that astonishing act by choice, “…not my will, but thine, be done.” (Luke 22:42) Think about that the next time a Deacon offers you the sacrament tray. But there is a final element of this communal experience that I want to touch on. One that isn’t in fact communal after all. While the prayer is for an entire congregation, and the Deacons offer it to all present, the bread and water are received individually. One by one. The prayer is offered vicariously for a multitude at once. The blessings are received personally, one at a time. Just like the atonement. 3 Nephi seems to have been structured to emphasise this very point. While chapter 18 begins with the introduction of the sacrament amongst the people, the preceding chapter serves as a real-life example of this principle in action. Interestingly, these two chapters – 17 and 18 – record the extra ministrations of the Saviour to the people on this first day of His visit with them. As chapter 17 begins, Christ announces that He is about to leave for the day, but the people plead with their hearts for Him to stay a little longer. He does so, and chapters 17 and 18 are the result. That they can be read as a single whole shouldn’t therefore be surprising. Remember this people had, not long before, been engaged in devastating wars. Then their entire civilisation fell apart as communities split into tribes. Then there were the earthquakes and fires for three days, killing large numbers of the people and injuring who knows how many. When you add these things to the normal challenges of life faced by individuals and families, how many people do you think might have been “afflicted in any manner”? Physical, mental, emotional and spiritual wounds must have been plentiful indeed! In fact, I doubt there were many people who didn’t go forward for healing. Note this: the prayer for the multitude is bracketed by examples of one to one ministrations. I don’t believe this is accidental record keeping by Mormon as he abridged these records. Especially not when we go next to the introduction of the sacrament, where the Saviour blesses the bread for the multitude before they must receive it one at a time. No, I think instead that it is a principle being reinforced. And that is one of the unfathomable wonders of the atonement. A single prayer for all. His grace applied one by one. It can sometimes be tempting, when considering the infiniteness of the atonement, to think of its resultant blessings being applied almost automatically. As if there is a type of super powerful celestial computer where its inbuilt algorithms determine when some person triggers a blessing response. But Christ’s grace isn’t automated, it’s personal. It isn’t applied en masse, it’s ministered to us one person at a time. And that, I believe, is one reason why the sacrament ordinance is at it is: at once both communal and personal. It is a beautiful reminder to me, and one which I now often consider as I partake. * I’m not discussing here any of the ordinances of the Temple, but it is interesting to ponder on the individual and communal aspects of those, too. ** That there was a command for Christ’s disciples to give the emblems of the atonement to the multitude also serves as a powerful lesson for those called to minister today. Categories: Articles | Tags: Atonement, Christ, Christian, Grace, Healer, LDS, Mormon, One by One, Prayer, Sacrament | Permalink.